• REMINDER: Campus Contest for Faculty and Staff: Whaddya Say John A? REMINDER: Campus Contest for Faculty and Staff: Whaddya Say John A? Ever since the first prime ministerial statue appeared on the Waterloo campus, folks have been wondering what exactly Sir John A. McDonald is about to say. Is he just going to invite us to have a seat in those handsome ladder-back chairs? Or does he have sage advice for a university that is striving to “inspire lives of leadership and purpose” in these troubled times? Maybe he has something he wants to whisper in our administrators’ ears? Or shout to the skies above? We think you may have some ideas, and so are running the “Whaddya say, John A?” contest to find out what they are. The contest is open to all staff and faculty, and the ten finalists (as judged by, who else, the WLUFA Communications Committee), will have their entries posted on the WLUFA website. 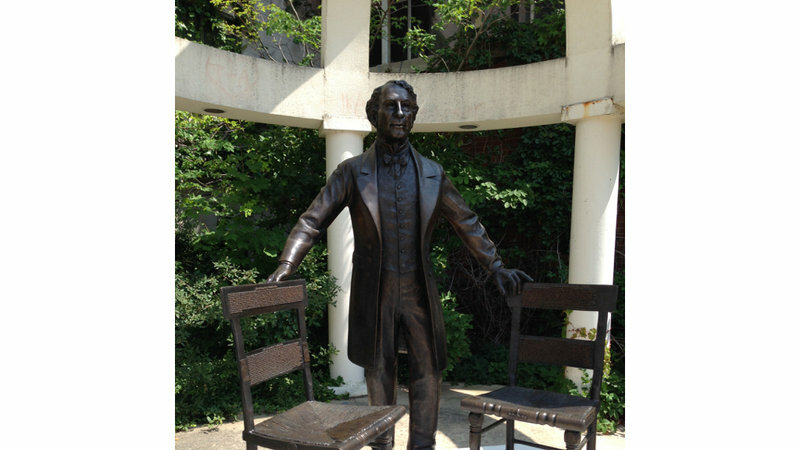 The winner (as decided by a guest judge from WLUSA Council) will get their photo taken with Sir John A – or (Brantford colleagues take note) photoshopped in if they can’t make the trip! And, in a nod to the former PM’s spirited legacy, the winner will also receive a $20 LCBO gift certificate! Please email your comments to: wlufa@wlu.ca by 5pm on October 26. There is no word limit but we think we should warn you that the judges are known to have short attention spans.